The hunting beanie is kind of a tradition for many hunters, adventurers, and even people just out chopping more wood for the fireplace. As heat escapes from the head the easiest, keeping it covered should be the priority in places where the temperatures often drop suddenly. Not all beanies are made alike. Some use a knitted acrylic that is stretchable, others a polyester fleece for wind-proofing, and still others combine polyester with a little bit of Spandex for stretchability. For hunting-oriented hats, some camo is the order of the day to stay blended in with the surroundings. One good thing to look for is a beanie hat that is large enough for your head. Don’t be bashful; if you have a big head, just accept the reality. It’s better than buying a size too small and having to face the annoyance that is a hat that keeps riding up too high. Only extremely stretchable hats made of a suitable material offer a genuinely one-size-fits-all product. 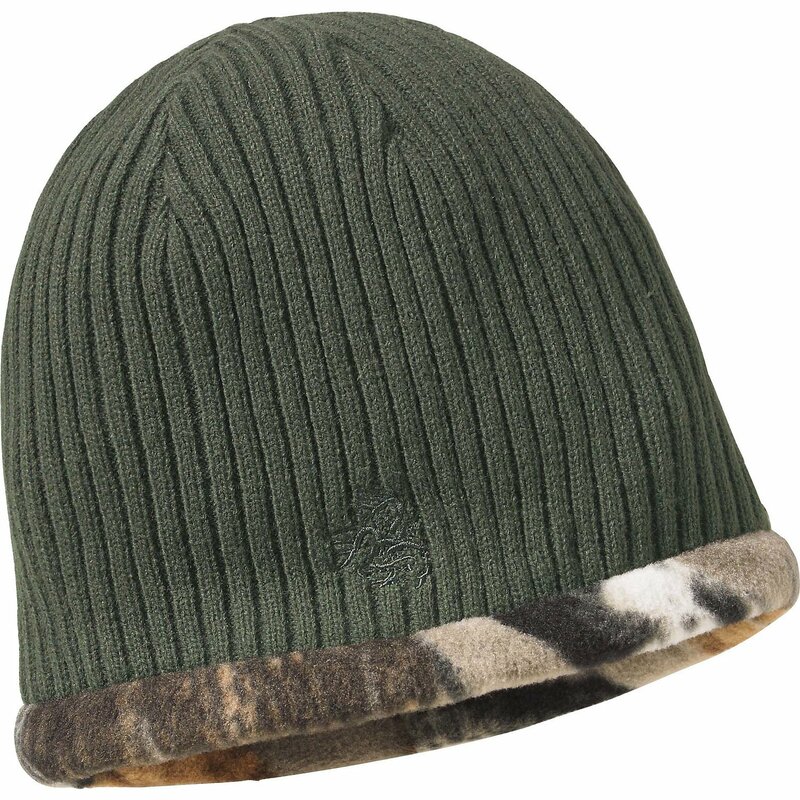 The Legendary Whitetails Men's Trophy Buck Reversible Knit Camo Hat is a convenient reversible head covering that offers two distinct patterns for the price of one. The product is available in the exterior color of Army (dark green), Canyon (burnt orange), Chocolate (brown) or Stone (creamy white). A Big Game camo pattern is used for both the interior and the rim of the material. The camo design has a fair amount of white coloring too making it more suitable for snow-based environments than darkened ones. The knit acrylic is a ribbed aesthetic which stretches to slip over different size heads more easily. The Big Game field camo material is soft to the touch and feels incredibly comfortable against the head. It is entirely possible that wearers will prefer to keep the camo side as the interior due to its softer polyester feel and the preponderance of white coloring in the pattern. The item is machine washable on a cold setting. Do not use bleach or iron it for best long-term results. 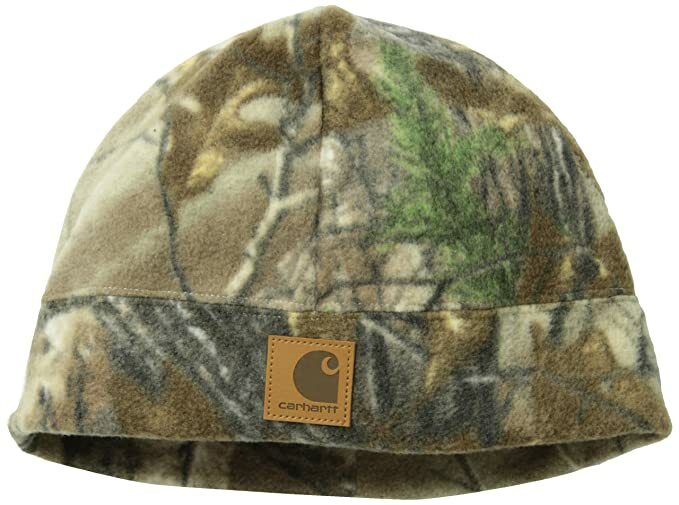 The Carhartt Men's Workcamo Fleece Hat is a softer, polyester head covering for cold nights out in the woods or on the trail. The hat comes in either Mossy Oak Break-up Infinity or Realtree Xtra camo patterns which buyers certainly appreciate. Both are green-based camo designs that work well in tree stands and the brush. The item is a polyester fleece which is soft and comfy to wear. Being 100% polyester, it is machine washable and won’t shrink if due care is taken. A square Carhartt branding made from Leatherette is sewn into the front of the garment which is a similar color to the hat itself and inoffensively positioned. The one size hat comfortably fits a size seven ¾ head size and similar sizes. The polyester does stretch, and so there’s some flexibility for different people in the household who may wish to share this headwear. Under Armour is the clothing brand of choice for many people today. It stands to reason that they’ll also have some attractive beanies in their clothing & apparel range. 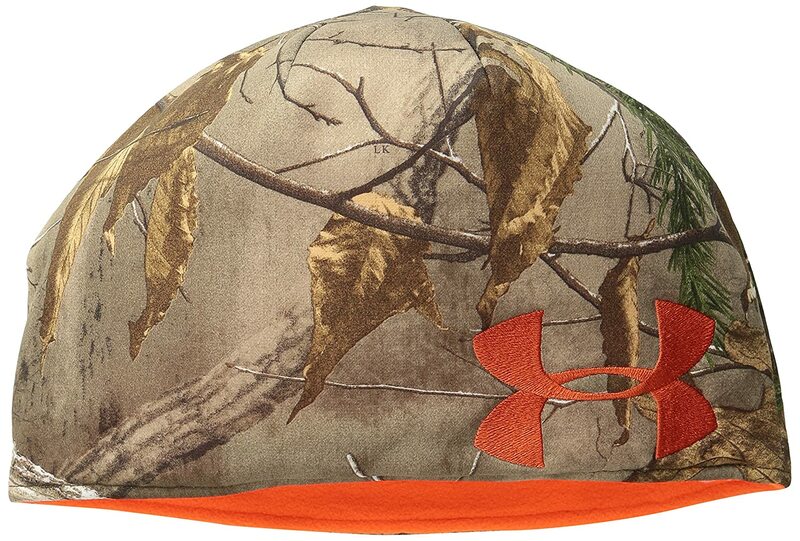 Their Under Armour Men's Reversible Fleece Beanie doesn’t disappoint with eight different camo-based fabric patterns with this 100% polyester (both inner and outer) hat. Two designs from Mossy Oak, three from Realtree, and three from Ridge Reaper provides excellent color selection vs. other available hunting beanies on the market. Either the Under Armour brand name or its distinctive logo are incorporated into the pattern/fabric with each beanie. The polyester fleece is softer and very comfortable. It is perhaps thinner than one might expect, but still warm. It is also reversible to choose between a plain or camo design. The Panther Vision Headlamp is a different kind of beanie cap altogether with its 4 LED lamp fitted to the front. The Powercap LED light with its 48 Lumen output is high enough to be useful in the dark. A share of the funds generated from the sale of each Panther Vision beanie goes towards Operation First Response that helps wounded soldiers. 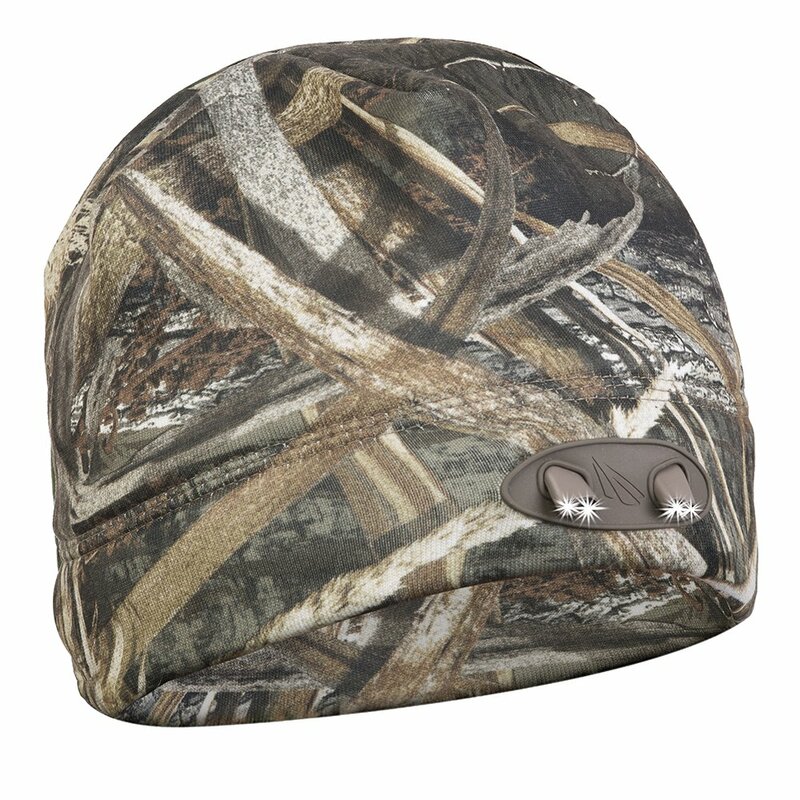 The beanie is available in Black, Yellow, Orange, Olive, Blaze Orange, Max 5 Camo, Mossy Oak Country Camo, Radiant Orange, and RealTree Xtra Camo colors/patterns. The material is 97% polyester fleece combined with 3% Spandex to add to its stretchability to fit different head sizes easier. The lining benefits from wicking moisture away to keep dry and warm. The band hides the power switch for the LED lights which is convenient to operate. The Minus33 Ridge Cuff Beanie is made from Merino Wool which is known to be breathable, machine washable/dryable, microbial, and moisture wicking too. The wool is thick enough to keep warm but looks thin from the outside. Even when damp, this beanie still retains its warmth which puts it a step up from hats made using acrylic material. The hat only weighs 2.4 ounces. 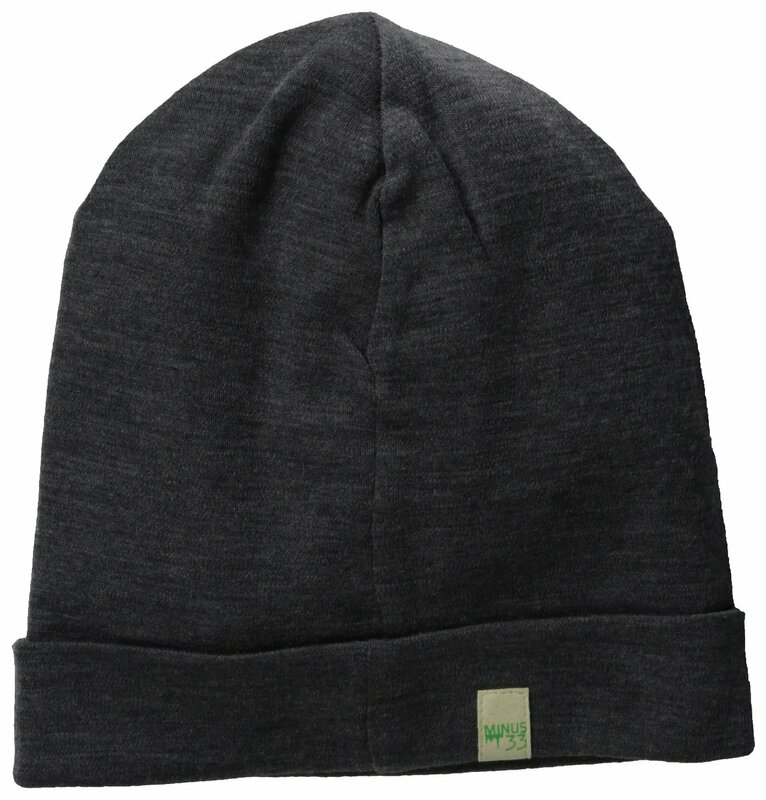 The beanie is available in Charcoal, Desert Sand, Forest Green, Navy, and Radiant Violet colors. Other than the violet color, the other choices are darker solid colors rather than a camo blended look. A discreet Minus33 logo badge is sewn into the hat on the rim. Finding the right hunting beanie for your head is not only a matter of getting the size right. There are several useful camo designs to choose between which will suit environments better or worse. Some beanies are made from more breathable fabric than others, and not all of them stretch to accommodate larger head sizes. Picking the right head gear, it turns out, is a very personal decision for the wearer.